I was approached by a co-worker of mine who was going to move to Uganda for some mission work and wanted to chronicle her adventures with a blog where she could share all of her new experiences and pictures. I originally created the site in 2012 on a different patform and in 2102 ported it over to Wordpres. I took the opportunity to create a new theme for her website during the WordPress conversion. One of the key things to this site is that it had to show off and reflect Ms. Jacksons personality as well as her new experiences. 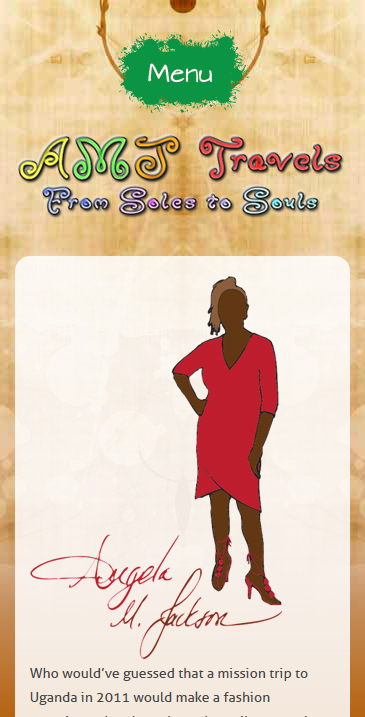 I felt would be best represented by showcasing bursts of color along with a slight African motif for the background. After recieving an “Ahhhh YEA-that’s me!” message from her I knew the design was perfect for her. The site is built with the CMS WordPress, styled with CSS3, and programmed in HTML5. 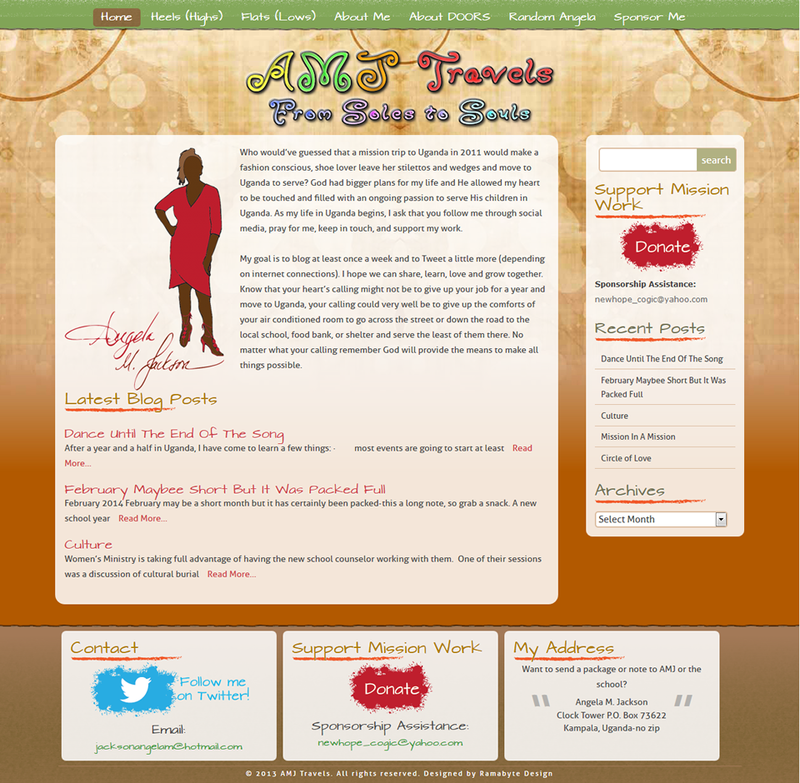 AMJTravels also features a responsive design with unique elements made specifically for the mobile/tablet versions of the site.